Caregiving takes many forms. Many of us help older, sick, or disabled family members and friends every day. We know we are helping, but we don’t think of ourselves as caregivers. We are glad to do this and feel rewarded by it, but if the demands are heavy, over time we can also become exhausted and stressed. We think we should be able to handle caregiving roles on top of busy work and family schedules and begin to feel guilty and depressed as our stamina wanes. About 44 million Americans provide 37 billion hours of unpaid, “informal” care each year for adult family members and friends with chronic illnesses or conditions that prevent them from handling daily activities such as bathing, managing medications or preparing meals on their own. Family caregivers, particularly women, provide over 75% of caregiving support in the United States. In 2007, the estimated economic value of family caregivers’ unpaid contributions was at least $375 billion, which is how much it would cost to replace that care with paid services. All of us, at some point in our lives. 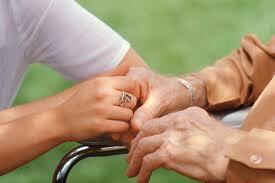 Caregivers are daughters, wives, husbands, sons, grandchildren, nieces, nephews, partners and friends. While some people receive care from paid caregivers, most rely on unpaid assistance from families, friends and neighbors. Buys groceries, cooks, cleans house or does laundry for someone who needs special help doing these things? Helps a family member get dressed, take a shower and take medicine? Helps with transferring someone in and out of bed, helps with physical therapy, injections, feeding tubes or other medical procedures? Makes medical appointments and drives to the doctor and drugstore? Talks with the doctors, care managers and others to understand what needs to be done? Spends time at work handling a crisis or making plans to help a family member who is sick? Is the designated “on-call” family member for problems? In small doses, these jobs are manageable. But having to juggle competing caregiving demands with the demands of your own life on an ongoing basis can be quite a challenge. With the 65+ age group expected to double to 70 million people by 2030, family caregivers increasingly provide care for aging parents, siblings, and friends, most of whom have one or more chronic conditions and who wish to remain in their own homes and communities as they age. Others belong to the “sandwich generation,” caring for children and parents at the same time. Caregiving roles and demands are impacted by a number of other factors. For some people, caregiving occurs gradually over time. For others, it can happen overnight. Caregivers may be full or part-time; live with their loved one or provide care from a distance. The “typical” U.S. caregiver is a 46-year-old woman who works outside the home and spends more than 20 hours per week providing unpaid care to her mother. Most caregivers are married or living with a partner. Most caregivers are employed. Among caregivers age 50-64 years old, an estimated 60% are working full or part time. Many caregivers of older people are themselves elderly. Of those caring for someone aged 65+, the average age of caregivers is 63 years with one third of these caregivers in fair to poor health. Most caregivers live near people they care for. Eighty-three percent of caregivers care for relatives, with 24% living with the care recipient, 61% living up to one hour away, and 15% living 1-2 hours or more away. With the dramatic aging of the population, we will be relying even more on families to provide care for their aging parents, relatives and friends for months and years at a time. Yet, the enormous pressures and risks of family caregiving are a reality of daily life for millions of American families and pose a great strain on family caregivers, many of whom are struggling to balance work and family responsibilities. Families need information and their own support services to preserve their critical role as caregivers, but frequently they do not know where to turn for help. One place to start is the Aging & Disability Resource Center (ADRC). The ADRC can listen to your situation and help assess what type of assistance is needed. The professional staff can then talk to you about available services, supports or programs in your area. You will be given information on the service, support or program, what providers are in the area, the cost associated, as well as any financial assistance programs available to assist with the cost. Staff can come to the home to meet with you and your family. There are many resources available to assist you in this journey of caregiving and we are here to help you navigate them and find the ones that fit into your situation! Call us today to discuss further! All our services are free and kept confidential. You can even call to get information anonymously! The ADRC staff can assist you in finding the proper resources you need to maintain a great lifestyle. We can provide you with not only the information on what is available, but also help you take advantage of those services you qualify for. Assistance specialists in the ADRC provide you with information about services, resources, and programs in areas such as disability and long-term care, living arrangements, health and wellness, adult protective services, employment and training for people with disabilities, home maintenance, nutrition and publicly funded programs. ADRC specialists can help to connect you with services and can help you apply for publicly funded programs as needed. You can call the resource center about a wide variety of topics. You can contact the ADRC in a variety of ways; phone, in person with no appointments needed, by fax, email or written letter. Information and Assistance services can be obtained anonymously and can be obtained by the person needing the information or by family members or other loved ones. Have you ever seen on TV one of those performances where someone is spinning a bunch of plates on sticks and racing around trying to keep them all from falling? Caregiving today is a lot of like this. In our everyday lives we are already spinning many plates with our realtionships, family, careers, social activities, health care, and then once you become a caregiver many more plates are added to the mix with things like medical appointments, transportation, personal care, and decision making for our loved one. If we live in a continuous scramble after our plates we can lose sight of what is important and may put our own health in jepordy, not to mention the well being of the one we are caring for. Whether we decide to continue to spin all the plates at one time or make the decision to set a few aside, there is help out there for caregivers. Providing care for someone in need may be the most important role one will ever fill in a lifetime, but it does not have to be done alone. The first step is to recognize that we are spinning too many plates or that the plates are teetering out of control. The second step is to ask for help. This is a sign of strength, not weakness, and is the surest way to keep all the parts of our lives in balance. The Aging & Disability Resource Center has different resources and options available to support caregivers. Caregiver support can be received in many ways; attend a support group to gain a perspective of the caregiving situation, build a support network to include family, friends, medical personnel, clergy and a social worker/care manager, accept assistance with personal care needs from family members and friends to lighten the load, hire private help even a few hours a week for household and chore services, accept respite care opportunities to allow a break from caregiving and find ways to renew one’s own body, mind and spirit. There are many different resources services out there to help. 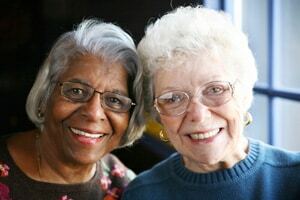 By calling the Aging & Disability Resource Center a Specialist can help you find the one that is best for your situation and discuss with you how the service works, who in the community are available to provide the service and the costs associated as well as any funding assistance available. So start with the Aging & Disability Resource Center to discuss your situation and see what is available. There are a variety of educational opportunities going on throughout the year that can be beneficial for caregivers. These events can speak to how to better provide care for your loved one, inform you more about different diseases as well as to help you take care of yourself so you can continue to provide care to others. Please check back often for updated information. You can also join our caregiver listserve so that you are sent invitations or emails alerting you to events coming up. To join the listserve you can send the ADRC an email or give the ADRC a call and indicate you would like to put your name on the listserve. This listserve is kept secure and not distributed to others. Powerful Tools for Caregivers is an educational workshop for people who are taking care of a family member or friend. It was developed by Legacy Health Systems at the University of Oregon, Portland. PTC is designed specifically to support the family caregiver and improve his or her well-being – it does not teach hands-on care or focus on disease or other conditions. The Powerful Tools for Caregivers program will provide you with tools and strategies to better handle the unique caregiver challenges you face. Classes are taught to a small group (up to 15 older adults) by two trained leaders. The workshop meets weekly for six consecutive weeks for 1.5 hours. Who should take Powerful Tools for Caregivers? Family & caregivers should take this course to help them better cope with the challenges of caregiving and get support and resources to make the caregiving journey easier. Powerful Tools for Caregivers classes happen throughout the communities in Green County. To stay up-to-date, you can check out our Events Calendar by CLICKING HERE, get updates delivered directly to your inbox by SUBSCRIBING HERE, or call the Aging & Disability Resource Center office at 608-328-9499. Our mission is to support, educate, and advocate for those who give and receive care. Our Start: The Green County Caregiver Coalition was formed in 2011 to address the needs of family caregivers as they continue to support their loved ones. With over 600,000 family caregivers identified in Wisconsin in 2009, the number will continue to grow as our population ages. The Coalition is comprised of community members from a variety of different organizations who share a commitment to improving the lives and supporting family caregivers throughout all stages of their journey. Coalition Goal 1: Create community awareness of the needs of family caregivers. Updates: Results from the survey of 50 caregivers in Green County showed that of the respondents, the majority were female, aged 46 to 65, and had been a family caregiver for up to five years. Their care recipients are generally over the age 76 (64%) and are being cared for by their adult children (48%). Over half report it is their first time caring for a family member and one- third has the care recipient living with them. Seventy percent are working either part or full time. Following was a focus group with 10 participants to address these major concerns, where distinctly a fourth challenge was identified as the importance of and potential stressors within the familial relationship between the caregiver and the care recipient. Coalition Goal 2: Provide peer support opportunities for family caregivers. Updates: As indicated by the Coalition’s 2011 Survey Results the need for a support group specific to caregivers was evident in Green County. Therefore, a Caregivers Support Group was started. It meets on the 2nd Thursday of each month from 6 – 7:30 pm at the Monroe Clinic Hospital. It is a place for caregivers to share their experiences, learn about resources available, and find out you are not alone. Professionals from the Monroe Clinic and the Aging & Disability Resource Center work together to facilitate the group. In 2013, the group was granted another opportunity with funding from the Monroe Foundation and is now able to offer on-site respite for care recipients. More details are to follow about eligibility and openings for respite on site. For other respite resources in home please contact the ADRC at 608-328-9499. If you have questions about the Caregivers Support Group please call Deanna Truedson at 608-843-3402. Coalition Goal 3: Provide information and education relevant to family caregivers. Updates: Updates coming soon on this goal. The coalition is open to any person with a passion and concern about caregiving and caregivers in Green County. This includes individuals who are or were family caregivers, representatives from non-profit and for-profit organizations, government agencies, faith-based groups, and the community-at-large. If you would like to join our coalition or have questions please call the Aging & Disability Resource Center 608-328-9499. We also could accompany you to your first meeting.